God’s point in this reading is important for Job, but it is very important for us and our culture. Either God is the judge and the human is being judged, or the human is the judge and God is being judged. The latter is the most widespread view in modern times, even among Christians. We are the judges of God. Perhaps I find him not guilty, or make some excuse for any action of his that I am dissatisfied with, but I am still the judge of God. It is very difficult to shift this perspective around 180 degrees, where God is my judge, and I am not in the position to judge him. This is why God says to Job, “Where were you when I created the universe?” This series of questions, very sarcastic, are a dismissal of Job’s criticism of God. Job was suffering greatly and offered a very soft criticism of God: if we will be punished for wrong, then it would be nice if God would make it clearer what wrong we have done. The irony of Job is that we the reader know from the very beginning that his suffering is not because of any wrong he has done but because God allows Satan to put him to the test. 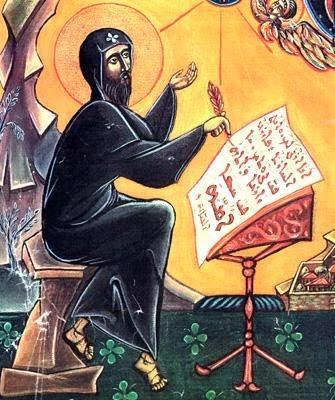 The natural reaction of a modern person to reading the beginning of Job, where God allows this test, is to preside as judge over God: “How dare he allow such a thing?” But then I remember that I was not there either when God created the universe. Really, we are in the same position as Job. We do not know why God has done what he did, only that he did it. In the Old Testament, God has people fight wars and execute others and many other things which I do not agree with at first sight, but God does not need my approval. I cannot fire him. Just because an act of God does not make sense to me does not mean that it is unreasonable. He is God no matter what I think. I do not stand as his judge. He will judge me. And on that day, I will see how his judgment of me is perfectly fair. How everything he has ever done is right and just. Until that day, I must strive to shift my perspective away from evaluating God. I am unqualified to do it.